The Demographic Infographic Templates never again worry about designing a linear and beautiful presentation. Every slide is fully customizable, therefore giving users full autonomy on the presentation at hand. 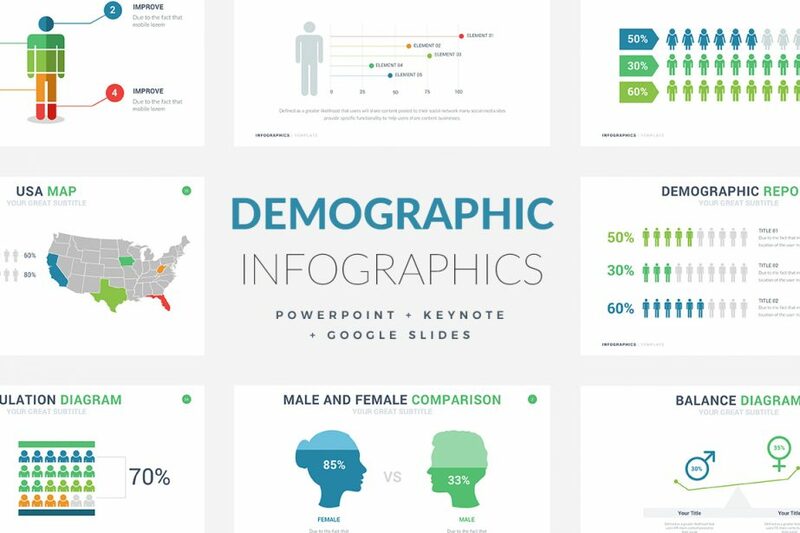 You can use Demographic Infographic Templates as PowerPoint Template, Keynote Theme, and Google Slides. 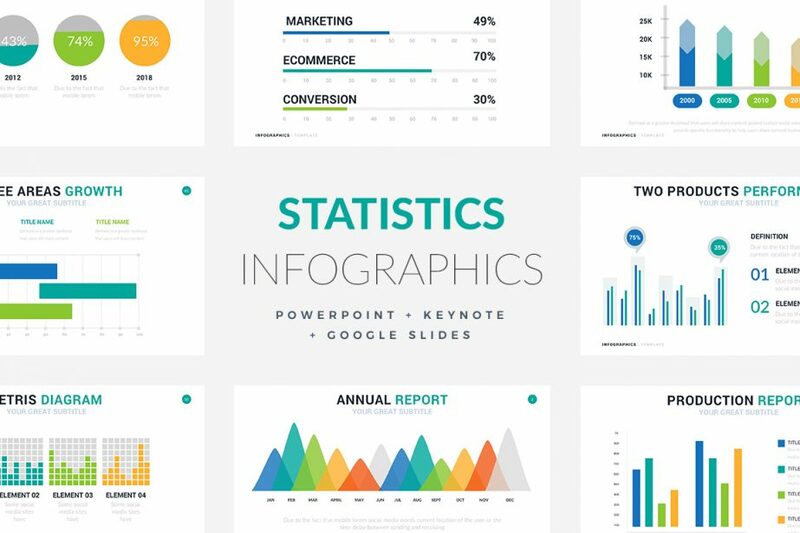 The Statistics Infographic Templates is one of the most cutting-edge and visually appealing infographic templates on the market. 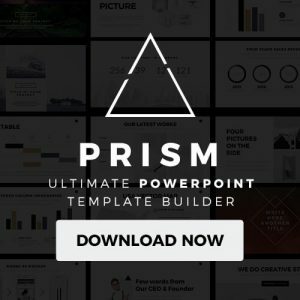 All of the slides and included items are fully customizable This template can be used from Google slides, Apple keynote, and even Powerpoint. Good presentations are tedious and very time consuming if the user has to do everything themselves. 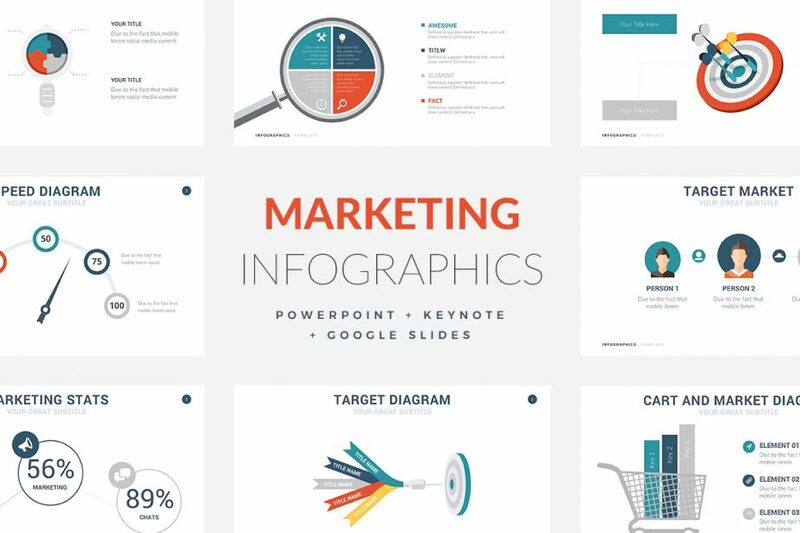 The Marketing Infographics Template is the most cutting edge when it comes to designing a visually appealing and information-rich presentation. 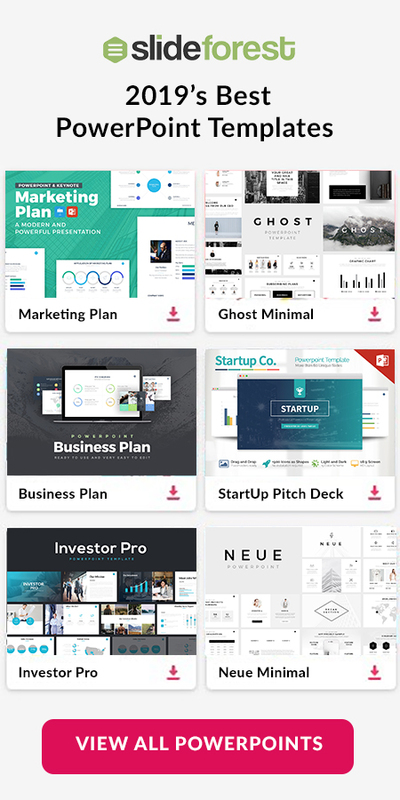 This can be used as PowerPoint Templates, Keynote Themes, and Google Slides. 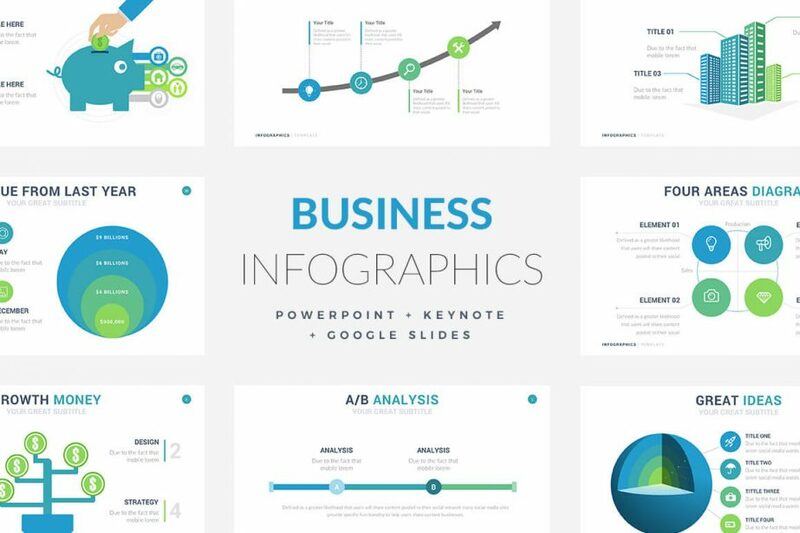 The Business Infographic Templates are designed specifically to save users time and effort so they can focus on the richness of the material they are providing, rather than worrying about the wow factor of the slides. 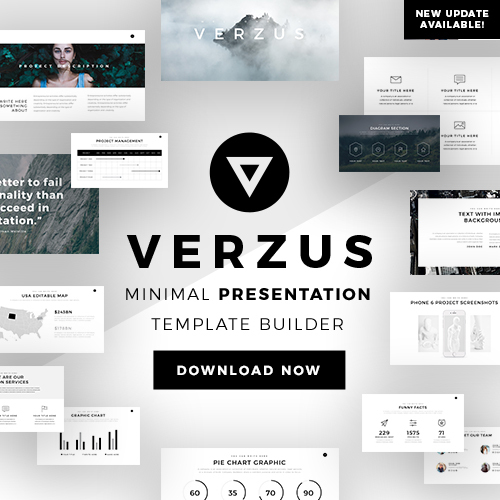 This template can be used as PowerPoint Template, Keynote Themes, and Google Slides.